When you leave design school and look for work with your portfolio of fictitious student projects, half of your interviewers pause to tell you that, in the “real world,” you’ll never have the opportunity to design wine packaging. 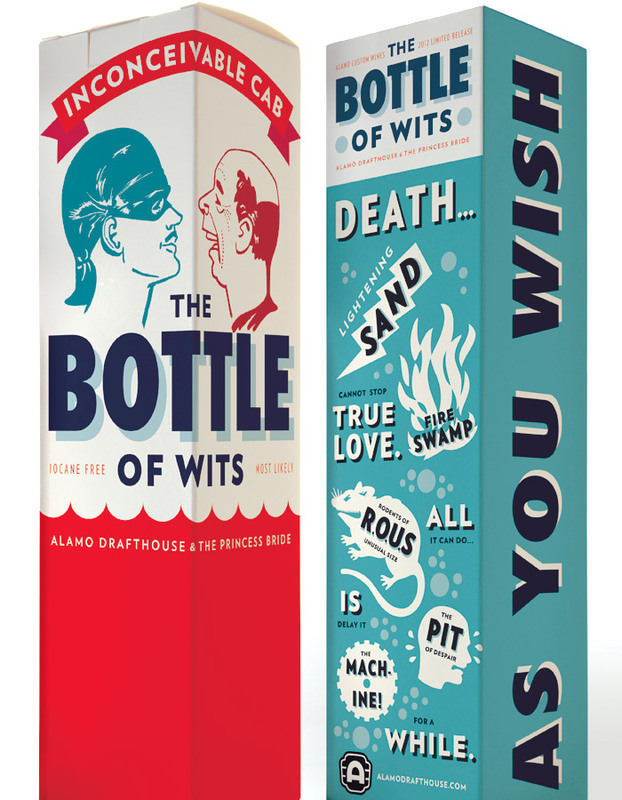 Much less, packaging themed after one of your favorite movies. Those folks never had the chance to work with Tim League and the team at Alamo Drafthouse Cinemas. “As fans will recognize, “The Bottle Of Wits,” is derived from the iconic “battle of wits” scene when Westley first rescues Princess Buttercup from Vizzini and his henchmen. 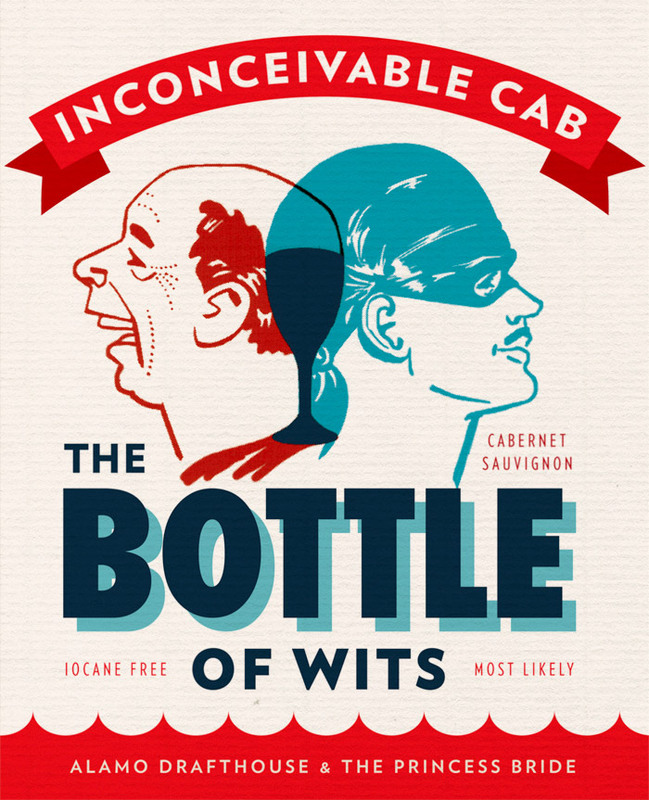 The custom wine line includes two varietals: “Inconceivable Cab” and “As You Wish White”. Absolutely LOVE this packaging solution. Clean, retro, and I love the concept itself. Great work! 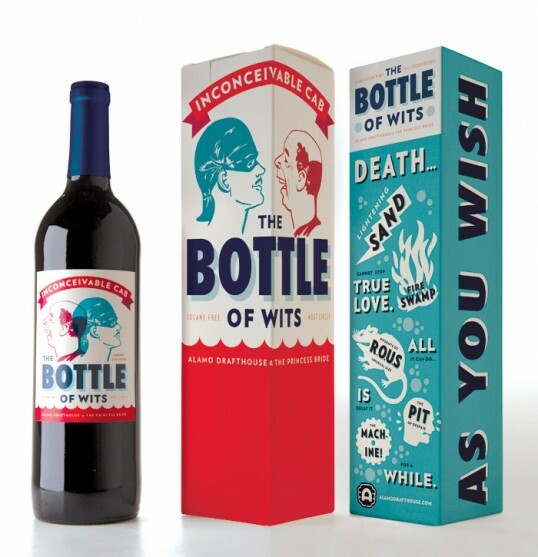 I love everything single aspect of this packaging. The graphic design is flawless. Bold, Bright, and complex. This is for a sure a product I would purchase purely based on design. I love when people take a chance and it looks like this. I want it. Where can I buy it? I love this! Can we buy it somewhere? This, Ladies and Gentlemen, is a Must Have By Design. 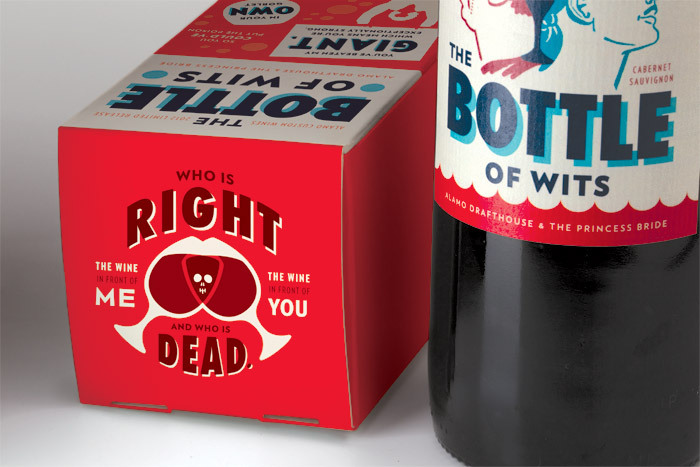 By the way the term “Your comment is awaiting moderation.” is rather inappropriate while talking about wine. I think Alamo Drafthouse is selling this now, i saw a sugn for it in the theater. Love it! Is this on he market and can I buy one?